Reader Richard is tiring of typing his e-mail address. Every time he logs into a site, shares an article with someone, registers for an online forum, and so on, he has to type it in. So he wants a keyboard shortcut than can "paste my e-mail address into everything." And while he's at it, how about a second shortcut that will paste in his nickname/username? 1. Google Toolbar. Among other great features, this browser add-on offers AutoFill, which can complete entire Web forms (including the e-mail address field) with just one click. It's not the best solution if you want to paste your e-mail address into other locations, like your word processor, but for everyday Web stuff, it's hard to beat. 2. PhraseExpress. This killer bit of freeware automatically expands typed abbreviations. 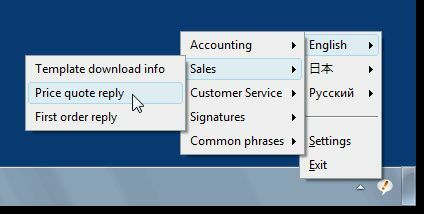 So to quickly insert, say, your e-mail address, you could type "em1" (as in "e-mail address #1"), and PhraseExpress would instantly paste in the complete address. Likewise, you could type "sig" to insert a custom e-mail signature (complete with images and/or HTML code) at the end of e-mails. 3. AutoHotkey. The tool for folks who like to monkey around with simple scripts, AutoHotkey can perform a variety of time-saving functions--including expanding typed abbreviations (just like PhraseExpress). It has a tiny footprint, so it won't impact system performance in the slightest, but there is a bit of a learning curve. So there you go, Richard! I think PhraseExpress is probably the best option for your needs. And it's definitely worth a look for anyone looking to spend less time typing repetitive text.